Since 1998 our Property Management department has offered the possibility to investors to delegate to our competent services the management of their property. Our agency has indeed a rental division in charge of marketing (looking for tenants) as well as a management division that takes over once the lease is executed. 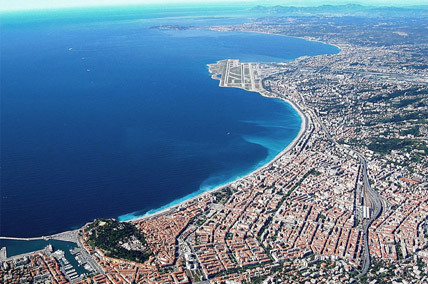 Because of our strategic and commercial position on the Port of Nice, of our affiliation with the MLS group (300 agencies in Nice) and thanks to our presence on the best advertisement formats and internet, the flats managed by Vizcaya are quickly rented again after the departure of a tenant, a token of extra profitability. Choosing to mandate a property manager is the assurance to have a professional take all the mandatory steps related to the rental of an accommodation and be free from any constraints or hazards of collection. Our management fees are competitive and tax deductible in the same way as the insurance against unpaid rents. We ensure the management/tax exemptions of many flats delivered in the last few years by the biggest French developers. Looking for tenants and selecting them carefully after a thorough study of their files, in particular in terms of solvency. The inventory, the drafting of the lease, the modifications of the various contracts for amenities if the rental is for the year. The verifications and updates for the mandatory surveys to be provided to the tenant. The verification of the taking of a multiple-risk insurance and its mandatory yearly renewals. The payment of the charges to the condominium management for buildings and of the land tax. The breakdown of the recoverable charges and the yearly settlements. The yearly breakdown of the refuse collection taxes (payable by the tenant). Taking of the rental guarantee. Even in case of a default in the payments, your rent will continue to come to you without any limitations on the amounts or term. Also, the litigation fees and the damages caused by the tenant will be covered. Taking into account the yearly increases according to the applicable index. Sending the tenant the notices to pay, the rent receipts and the possible reminders in case of delay. The automatic transfer on your account of the rent received together with monthly management reports. An assistance (with the approval of the principal) enabling you as a landlord to draw up your tax returns.